On waking “Harry scrambled to his feet, so happy he felt as though a large balloon was swelling inside him.” Hagrid was in fact asleep on the sofa and an owl was tapping on the window. It wasn’t a dream at all. He really was going to a school for wizards. 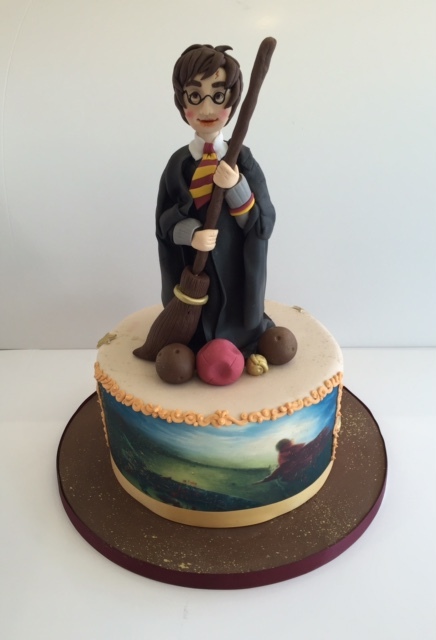 Harry Potter cakes from Cakes by Robin will make you as happy as Harry. We hate to brag, but Robin’s amazing cake made for JK Rowling’s 51st birthday party last year was a triumph. 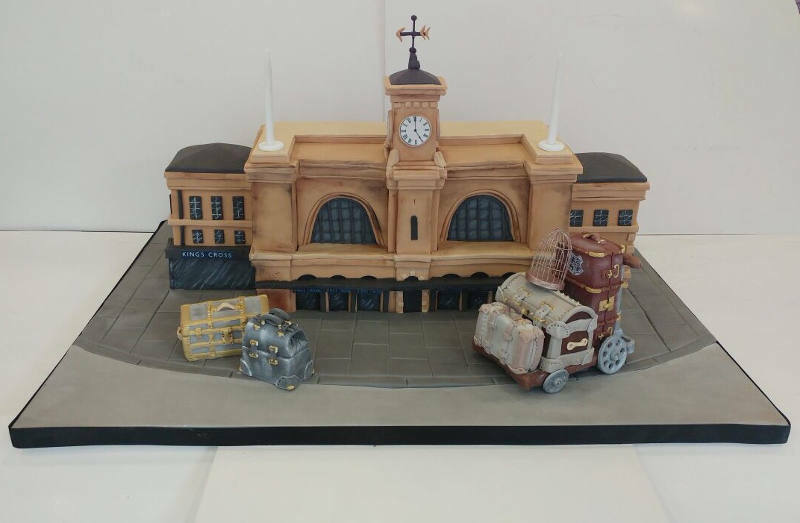 We are so proud of the replica of King’s Cross station cake, which was commissioned to us and presented to JK Rowling on her birthday at midnight. Rowling was apparently attached to the bustling station before she even wrote the Harry Potter books as her parents first met on a train there. She decided to use the iconic station as her gateway into the magical world of Hogwarts. We knew she would absolutely love a cake embodying such a nostalgic and pivotal place. We love bringing favourite characters and places to life in cake form. Creating eccentric cakes is what we do best and there’s no better theme for eccentricity than Harry Potter. Whatever you love about the Harry Potter stories, and let’s face it we all love something especially great about the wizard tales, Cakes by Robin can expertly craft your favourite bits into an amazing cake. Whether it’s a cake with Harry stood proudly on the top, or perhaps you prefer a cake donning the house-elf Dobby, or one representing a collection of wizard’s tools and books, Cakes by Robin know how to create a Harry Potter themed cake to wow. In part 2 of the Harry Potter and the Deathly Hallows film, Dumbledore exclaimed to Harry, “of course it is happening inside your head, Harry, but why on earth should that mean that it is not real?” At Cakes by Robin we’d love to make the cake design idea in your head a reality. We’ll use as much wizardry in our cake parlour as possible to bring you the ultimate Harry Potter celebration cake. Always.